McKinnon decision: "An appalling day for every British citizen"
Human rights activist claims McKinnon decision marks "an appalling day for every British citizen"
Canadian writer and human rights activist Oxblood Ruffin believes that the High Court decision to not allow Gary McKinnon to face trial in the UK instead of the US represents "an appalling day for every British citizen." Hacker McKinnon's many supporters wanted him to face trial in the UK, but it looks like his numerous appeals against extradition have now hit a brick wall. Some commentators are saying that he could, feasibly, be facing over 60 years in a US jail, should the American Government throw the book at him. 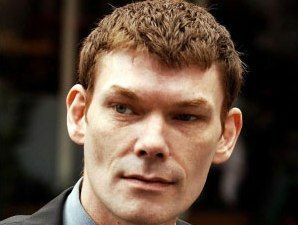 In addition to being a sad day for the British legal system, the decision is "a horrible day for Gary McKinnon and his family," adds Ruffin. "The extradition treaty under which Mr McKinnon is being delivered is ridiculously lopsided. Under its terms, the US can simply demand that any Brit be handed over for trial, without proof of any kind," the human rights and cybercrime specialist added. "Today it started with someone, who for all intents and purposes, is mentally incompetent. Tomorrow, it could be anyone. I'm furious over Labour's cowardice. "This Lapdog Treaty has to go, and so does this Government."